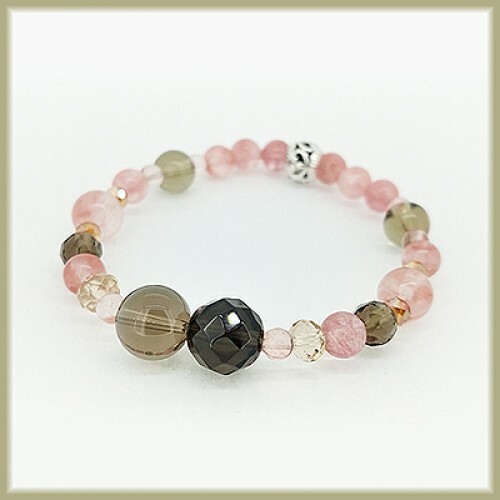 SMOKY QUARTZ (tinted, facted & round) - AWARENESS & GROUNDING Dissipates Blocked energy & negativity. Assist grounding & enhances awareness. Excellent stone for cleaning & memory enhancement. 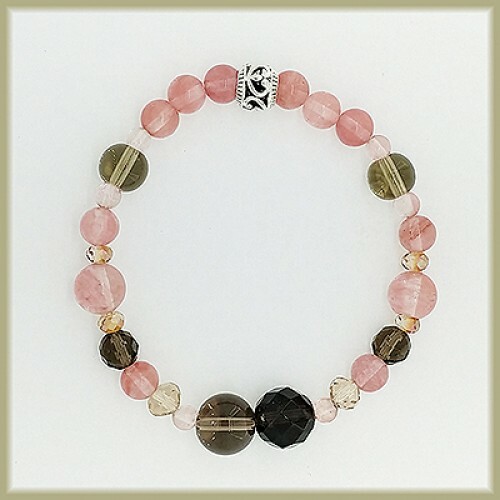 Cherry quartz is a healer for emotional wounds and can help with anger & tension. It is an excellent stone for concentration & helps anyone taking exams. Helps in cold, flu & infections.